OK, check out this video. Gonna make some pop corn while waiting for the comments. So, you guys are saying that the white quinoa is not the unhulled version of the red and black? I could have tried a long time ago. Anyway, now here we find all three kinds in the store. I am interested in the beautiful flower plumes, but if it's anything like amaranth, I don't know how the newly sprouted seeds can even sustain their own length and weight. They are the most delicate kind of sprout I've ever seen. Am I germinating them in too much light or something? I'd rather have them grow stalkier and stronger. Wow, new look! I hadn't been here in a while. So, I'm having a battle with fleas here. I live on a farm in Costa Rica. It's very damp during the rainy season (now). We have two dogs. One of our cabins is infested. The lady living in it doesn't want it to be sprayed with carcinogenic crap, and I don't want the dogs' blood to be full of preventative chemicals, if I haven't seen a single flea on them for months. She said some exterminators that came here last year and treated our place with that fungus that eats insects from the inside told her fleas don't need to live on dogs. They just feed for some time, but for the most part they make their nest in damp places. In our case it's all the cracks between the cabin walls and the porch floor, that are now canyons thanks to the many earthquakes we get. This lady tried with DE and said it doesn't work. I don't know how she's applying it, but she does do a lot of internet researches. So far in this forum I read about feeding the dogs a teaspoon of ACV every day, as well as feeding them brewer's yeast, except we get it from the US for our salad and it's really expensive. Can somebody please help with my situation? With dogs running out into the forest on some expedition every couple of weeks, they are bound to bring home some parassite or other. Also, with those cracks around the cabin, it's like having an empty hotel for fleas. Any help is welcome. I just took a look at the solar kiln, and it seems like an interesting alternative. I'll read about it later. Hans, what do you mean with "not on a slope"? That the solar collector can be horizontal, or vertical? I'd imagine horizontal, like a glass coffin. Even if I were to replicate the same model, or make the actual one true to the design, I need advice on the material. The transparent sheets are all cracked under the sun, starting from the screws (with washers). The silicone thing is all brittle and air and bugs come in from everywhere. I also couldn't find a bug-proof way to seal the door. I think I used some fridge door rubber thing. I could use polycarbonate for the transparent panels, but wouldn't a smooth surface reflect part of the light-heat? Here is the rear of the monster. Hey, thanks for replying, and sorry for the confusion. The solar collector is only the top slide of that triangular greenhouse thing. Whatever you see painted of a brick color. There is actually a black-painted sheet of corrugated zinc roofing 2" below the transparent panel. The hot air gets inside the chamber from a slot on the top left (looking from standing in front of the door), which is the same size as the screened opening at the bottom of the slide. Yes, there was a wall made of cardboard I made to remedy a mistake made by the guy who helped me make it; then it fell in (you can see it at the bottom of the greenhouse thing inside), but I saw it wasn't affecting the operation much. The chimney is a faux wall on the right-hand side, however, I didn't have enough wood (all the material was donated and on a budget), so I made a half wall that turned into a chimney pipe that I painted black and moved back to the sunny side for a passive solar chimney effect. I am keeping the dehydrator under my solar panel rack to protect it from the rain and excessive sun. I am aware that all my changes jeopardized the top-draft design. Someone told me top-draft is not indicated for the Tropics anyway. Thing is, when the sun is not shining, all activity stops, while I was of the impression that some draft would go on by inertia. I still like the top draft, because it allows me to have a fan pointing down. A fan at the bottom might get dripped on by my pineapples. And here I am back again. My solar dehydrator is falling apart. The Tropics are just too brutal, and we are just too poor; I think we cut too many corners to save money and the materials we used are disintegrating under the tropical sun and rain. So, I'll keep it short and sweet. First of all, we have a better internet connection, so I'll upload pictures of our current model at last. 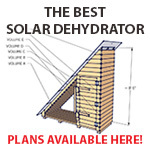 I've been looking for solar dehydrators for the Tropics or for humid climates, and all I find is very disappointing, such as dehydrators where the solar collector and the drying chamber are the same, with the fruit drying in direct light (no, thanks), or they have a huge solar collector and the drying chamber is as big as a dog house. I need something close to my current model, if not bigger, as I'll be having more and more bananas and pineapples (drought permitting). Right now I have 8 stacked 2'x3' trays. I looked into drying tunnels, but they take a lot of space. I wouldn't mind a walk-in model. As you can see from the pictures, I went with the top-draft model, the third in Paul Wheaton's video. I even corresponded with the guy in the video, who pretty much cut me short after too many questions and after giving me the design. I never got the darn top draft, so I got a top fan pointing down. During the rainy season, or even before the rains, the air is so moist I have to use a propane burner on the lowest setting to keep stuff from rotting. I don't know how people in North America can forget their prunes in there from the year before. Doesn't it rain there, too? So, here I am, begging again for pointers, insights and help. I love permies.com, but it seems to be mostly North-America-centered (but please do prove me wrong! ), and Geoff Lawton's forum may take days before I get an answer. Still, they are both great resources that can save a lot of time and help lots of people. Thanks, and keep it up! OK, I found the info I needed in this video, should someone else be in my situation. I haven't seen the links yet, but to answer your question, my snath is just a relatively straight branch or maybe the trunk of a very young tree that one of the peones cut for me. The blade comes from Finland, and that's about all I know. Well, I found this one, even if mine is not American. Hi, I once saw a youtube video about how to calculate the inclination of the blade and the distance of the pegs on a snath all based on the person's tallness and arm length. I can't find that video any more, but it wasn't very detailed either. Can someone else help me? I have a stick, I made some pegs and I was donated a blade that I can't wait to use. I just need to know at what distance to put the pegs from one another and from the blade, or from the other end. I could use banana trunk fiber, but not today; I'm running out of time. Then tree paste, and maybe banana sap as glue, sealer. Hi, I started to Google about grafting, and it's really hard to find out what people were using before stretchy tapes, plastic bags, aluminum foil, and grafting putties were invented. Does anyone know anything about or practice a more natural grafting? I am about to graft some avocados and was going to use cotton gauze to tie the grafts and then tree paste to keep the scion medicated, moist, and sealed. But would the gauze decompose before the branch starts to grow? Ideally, I'd just leave the tree paste and gauze indefinitely. Funny this thread got unearthed after 5 years, and now that I'm thinking of upgrading the one I never posted pictures of. It was an ordeal. I could barely follow the design of the top-draft model. I ran out of money before I could make the chimney wall, so I used some stove pipes, that went around the solar collector side, painted black.... I never got a draft. So now it's just a hot box, with a fan on the ceiling circulating the air coming in from the solar collector. I couldn't make the walls out of plywood, as we concluded one rainy season would be enough to warp and trash the plywood, which is exactly what's happening to the floor of the solar collector. So we used tongue-and-groove boards, and I sealed every crack with sylicone, and I used washers on the door... still, air and bugs could go in an out. Even geckos! Everything is screened in, I was so surprised to see so many critters. I went for the top-draft model, because the guy showed he had the last of the prunes from the previous year still in there! Don't they get a winter? No rain? Anyway, we have so many pineapples and bananas coming constantly and I'b really grateful to find out the best way to dehydrate them. Also, seasonal stuff, like mangoes, come right when the rains come! 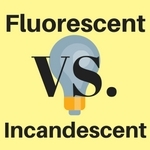 We have a micro-hydro system in the river, and solar panels; so, I thought of using incandescent light bulbs as a source of heat at night or when it rains. A propane tank wouldn't last too long and would make that dehydrated fruit very expensive, even if we were to sell it. Any help or insight would be welcome. Thanks! Thanks, wow, it says 1.6m. I guess you are right; I had also thought that you just can't have all the suckers grow. Sorry for the provocative words. I guess something is wrong with my understanding. So, I see these brand-new banana circles with the young shoots planted so close together, and the holes are so small already. I have all kinds of bananas and plantains; those guys make 4 or 5 shoots each a year, and they grow big, tall, and out. One banana shoot will make its own banana circle with its offspring growing away from the original plant over 5 years. How come I see them planted so close together? I looked up banana spacing, and they say roughly 2m in between plants and rows to reduce risk of sigatoka, or whatever it's called. I would love to plant them more close together and turn each hole (well, swale in my case, as it's a steep slope) into an oasis, with all kinds of plants growing together, but I'd like to understand better. While I'm at it, any ideas for a banana guild? Ever heard about this tree? Thanks for the link. I left it open for my godbrother who actually takes care of the cows. One thing I don't understand. Don't cows graze at 6 inches no matter how tall the grass is? Now I need to research the average weight of Jerseys, and then figure out what kind of grass we are using. I'm slowly getting this together. Still going through R Scott's videos. Thank you for going out of your way, Giselle! The chances of me leaving are quite slim. I already have to go to Nicaragua for 3 days every 3 months for visa purposes, and that's already quite taxing for the remaining 5 on this huge property. I'll still check out your links. Once two of us did go visit a so-called permaculture farm in the South after dropping one of us at the airport. If anything the others will see I'm willing to be properly trained, or they'll see for themselves that it does work elsewhere and in this area. Meanwhile, I played around with Google Earth, I really can't give you an idea of how big our pastures are, but it seems to me like quite a bit of land, with roughly 100 days rotation cycle. The basic idea is to have a central corridor in each pasture with access to water and shade from each paddock. It seems to me that each paddock is enough for 1 to 3 days (two Jersey milkers in the am, and two Jersey/Zebu oxen in the pm. I'll fit the big ox somewhere. Maybe he can stay the whole day, cuz he's big). The corridor and the enclosures are in white. The perimeters of each pastures are colored. Some of them are too awkward to subdivide, so we'll just leave the cows there for a week or so, as long as the grass can take it. The enclosures will be electrified, but not with the cord, rather with electric metal wire running between permanent posts. It seems the most feasible thing, given the nature of the terrain, and how little anybody else feels like struggling with portable fences. I may have forgot something, but here is the picture of our pastures. Oh, the blue one on the right is only for the bull (Nandi). Each enclosure is a lot of land just for him, so if it lasts 3 days, his pasture will have a 24-day rotation cycle. One thing I don't understand: even if the grass is not chomped to the ground, but only half-way, doesn't it get stressed out having to regenerate itself without going to seed? Thank you for your kind words, Giselle. The problem is that our place and project wasn't conceived as a permaculture... anything. Just a place where we ourselves have our spiritual lives, maybe have yoga retreats once the infrastructure is in place, and since it's convenient and cheap, and even "in" to be self-sufficient, why not, let's do everything organic and sustainable. But that's about it. One monk takes care of the cows, one of the altar duties, one of the cooking, one of the gardening/agriculture, etc. Technically, I'm the altar guy, but I also cook and do gardening. I don't know if it's my bad luck, or I really don't understand as much as I learn of permaculture, but so far I tried to make so many rocket stoves, and none of them worked. In the youtube videos anybody just makes a tube shaped like an L or a J, and voila, you could melt metal in that flame. I tried to make the solar dehydrator in Paul's video, the third model, and the "topdraft" is just stagnant top hot air, and the vent at the bottom doesn't create any suction. I began a little bit of rotating pastures two years ago, but we only made 4 experimental paddocks, the locals wouldn't get the system into their heads, nobody else believed in it or cared about it, I am always so busy and stretched thin and also couldn't follow up and keep it happening, so in people's minds that also got filed as a waste of money and failure. So, that's to give you some background. There is a permaculture project here in the country, maybe more, and the people who live there are committed to it; if something doesn't work, they get together and make it work. Here it's just me with my "half-baked youtube knowledge". I would love to have an expert come here, have a look, and say a few authoritative things, especially of the kind that affects the wallet, like: "Oh you want to terrace here, or the erosion will cause you to spend money on grass seed every year", or "You want to make a pond up there, so you won't have to buy more solar panels in the summer just to run the pump for irrigation". But these people cost money. So, my only hope is win their trust with small projects and small successes. I did create a series of swales on a hillside where we have a lot of fruit trees, but my vision was to carpet the hillside with a local clover-like legume, grow leguminous flower bushes between fruit trees to give more nitrogen, attract pollinators and birds, etc, but the person in chief, so to speak, only wants to see nicely spaced fruit trees growing out of a green carpet. Anyway, I don't want it to sound too much like a sob story, but it's hard. That's why with this pasture management, I really need to come up with a business plan, so to speak, where I can confidently tell them a time-frame or a deadline by which they can expect a certain result. Maybe calculate how much we'll spend in minerals for the cows, explain it's a once only thing because the nutrients will get recycled perpetually. Calculate how much we'll spend in barbed wire or electric wire. I don't even know. What I still don't know, by the way, is how big a paddock should be, or rather, how much area a cow should be given. My guess is that at first I'll have to either start with bigger paddock or rotate them very fast, because the quality of the soil is poor, but later there will by much more and better grass out of the same area. But what size are we talking about? Everybody always tells me "it depends". For example, the bull is confined to a big electric pasture, which is grazed to the ground, so we cut two sacks worth of grass from another area and feed him. I guess I could measure the area that got chopped to fill those two sacks and multiply it by the number of cows? I guess I should finish watching the videos R Scott suggested before I panic. Yikes, so now it does sound like there is no way of keeping cows on a slope unless we terrace. There is no way I can convince the rest of the group here to do groundwork merely based on my idea (it never matters how many people around the world adopt it, it always comes across as my idea, like I just dreamed of it). I guess the idea was that with the size of the paddock being fixed, the only variable would be the duration of grazing. Our herd will always be quite contained. We have two milkers because the bull sneaked on us, otherwise one at the time is fine. We are only 6 most of the year. Also, we are vegetarians, so any animal who is not providing milk, is providing dung and urine and is a member of the family until they die. Hence the need for the best producing pastures, because we can't extend our property as the herd grows, albeit slowly. One of the Jerseys in our property in North California has been going 4 years lactating without having to calf again, and that's our hope and plan. Making paths and steps is another thing I've been putting some thought into, because every year we have to get a back hoe and a road leveler to re-do our roads that go up and down the side of the hill. Also, every year the local workers dig small gutters across the road to have the rain flow into the bigger side gutter, which is becoming deeper and deeper. My intuition is that everything should be done on contour, as you said, and look more, in case of steps, as mulch boxes, where the rain and its flow get broken and weakened by the surface of the mulch. Any insight about that is also greatly appreciated. I'll check out the links in a while, but this was already helpful. Setting fence, you mean a mobile electric one? If we ever implemented a rotation system, we'd have to turn our 5 huge pastures into many paddocks, but all fenced by permanent wooden posts and electrified metal wire. I looked all over the forum. Not much about pastures. I hope I chose the right section to post in. So, some of you may have watched Geoff Lawton's video about rotating pastures, and I used to be in touch with Greg Judy until his email got hacked and I lost touch with him. All that knowledge seems to apply to flat or manageably slopy areas. We live in the hills of Costa Rica, and our property has 5 pastures, but some of them have an inclination of probably 50º, and I am the only one who is convinced about permaculture; the other monks (I live in a Hindu monastery, so people who live here don't necessarily have agriculture among their goals or background) want to see that stuff works before they approve the investment. So, you can see my predicament. I tell them that if we subdivide our huge pastures into smaller ones, let the cows graze until the grass is half as tall, meanwhile the cows will be concentrated in one area and poop in it, and trample onto what they don't eat, then it will all become mulch and topsoil, and the next time around the pasture will be better and better, and the grass root network will slow down erosion, and more varieties of grass will pop out (that's what everybody says, I still can't understand why. Maybe they say that for what used to be prairies or pastureland in the past, but our pastures used to be tropical forest, so...). Anyway, "the opposition" says that with the cows packed like that on a slope, they might fight for food and fall and break a leg; or they say there is no way to see when they eat the grass down to half its size, because they'll just make a mess of the area with their hooves, and trash the pasture with their concentration, whereas now one cow will go one way, and one the other. We really don't have a big herd. We have two Jersey milkers, who graze in the day, come back at 2pm for the pm milking and stay in the barn all night. Their sons are two oxen, who live in another barn, they are still young (2 years in Sep) to graze with their mothers and not steal some milk (or at least we don't want to find out, they may be old enough), so they graze from 2pm until their mothers go out in the morning. Then there is an older ox, and the Jersey/Zebu bull who is the sperm donor. The bull can only be contained in an electric pasture; a fixed one, with concrete posts and a metal wire. I bought the portable electric pasture kit, but nobody wants to replace the electrified string so often up and down a steep slope. So, if I ever convinced them to do some rotating, it would have to be among fenced, permanent, small electric pastures. Given that the bull can only associate with the 3 oxen, and the two cows only with the big ox, we will never have more than 3 or 4 cows per lot. My question is, does anyone of you have experience or theoretical knowledge of what it's like to do this pasture management on slopes? Once I asked Greg Judy if I would have had to get a back hoe to terrace the pastures. He told me to rather borrow the neighbor's cows and they will make it so spongy with mulched and rich top soil that I won't need to spend money on the back hoe to avoid erosion. Also, cows don't graze vertically, so they'll be creating on-countour terraces just by stepping while grazing. "The opposition" say they have practical experience of the cows trashing a pasture, especially in the rainy season. That's another stumbling block: in North America the growing season doesn't coincide with the rainy season, but here the time of the year when the grass grows fast and lush is also the time in which it rains so much that if so many cows step in the same area, a pasture turns into a mud hole; which is exactly what most pastures look like in this region by the end of the rains, in October. I said there will be some destruction and reshaping at first, but in the long run HDPM is the way to go, because every year we keep spending hundreds of dollars to reseed some pastures. That's another point. I tell them to let the grass go to seed, so it seeds itself, the cows will contribute to it, and benefit from the higher starch, but the peones tell us the cows discard older grass. I don't know what pasture grass is like in non-tropical areas, but the local kinds are basically canes, like thin sugar cane, if allowed to grow fully, or some looks like rice. It's really hard to juggle my knowledge of pasture management which is only theoretical, with the local beliefs and stubbornness, and the ignorance of everybody else here who is playing farmer, but we all come from urban backgrounds. In case anyone had my same question, I think I just found the answer in a thread of this forum called "Biodynamic tree paste" in the Biodynamic section! Hi, by preindustrial grafting I mean without the use of plastic implements and toxic substances. I live in Costa Rica, where people don't seem to have a past and a culture, no matter what I ask them. At any rate, a neighbor came to graft a few varieties of avocados onto our trees. He was using torn strips of plastic bags to tie the scion to the rootstock, a plastic bag to put on top and protect the graft, he wrapped everything in tin foil and advised us to use a certain chemical fungicide. I know that the Arabs were grafting citrus trees in Sicily 1,000 years ago, and I wonder, what were they using? Gauze for wrapping? Any vegetable fiber? There must be a way around all that plastic and chemicals. I heard in one of Paul's podcasts about bees that the guest was applying a paste of fermented cow dung, clay and sand to tree trunks for sanitation and better health in general; so I made a little search about that, and sure enough there is a thing called grafting clay, which is pretty much the same ingredients made into a putty and plastered around the graft like a tennis ball. Still, the information about this all is very scarce on the internet. Can anyone tell me about their experiences, or what key words I should use? Well, I can't post pictures at present, due to sucky connection. I've been trying to make Mark Vander Meer's model since the video came out. We recently received a $200 donation for it, so we built it... except we went with tongue-and-groove local hardwood boards instead of plywood, as everybody advised me against it (I live in Costa Rica and the whether would make it warp too soon). I also didn't use clear material for the solar collector, because it wasn't available, if it had been, it would have been too expensive, but mostly because in another video a guy said that a flat surface would have reflected most of the sun rays, so he used some showerglass-looking plexi glass, and that's what I did, too. The main difference is that we ran out of wood, so instead of a false wall all the way up, I made a short false wall that ends up into a 4" stove pipe that doesn't go straight up, as I put my dehydrator under the roof of our solar panel rack for fear of it overheating in the tropical sun. So the pipe goes back around to the South side, getting nice and heated in the sun, thus sucking up the cooler air from the bottom of the dehydrator... in theory, because I certainly don't feel the same draft that Paul Wheaton could feel with the door open. I even sat in it with a tea light and the flame wouldn't even flicker. Any suggestions? I calculated the volume of air the false wall would have contained and my pipe contraption exceeds that. Is the opening of the stove pipe just too small? Meaning, it's not about the volume, but about the area? I did that, thinking of air wells, or solar trombs, or whatever they are called; you know those solar/wind turbines that look like upside-down funnels. Let me see if I can post pictures. Any input is welcome, but tomorrow I'll start adjusting the holes. If the area of a 4" pipe is 12.5 square inches, I'll make that the size of the opening between the solar collector and the cabinet, and between the cabinet and the false wall. I guess too bad, because it would reduce the amount of air coming in, but at least it would flow. It's easier than making a whole false wall chimney. Am I making sense? Ok, thanks. I'll see how it goes with the changes. This is pretty much what I need. I can't weld like him, though. I was just wondering what the ratio is between the length of the pipe, the openings, etc, so the fire roars. I remember playing with a wood stove as a kid, the fire would behave differently according to how much or little I would close the door. Thanks for the answers.... I guess. Maybe I was too verbose and people only skimmed through my words. I'll rephrase it in bulletpoints. +Here in Costa Rica it's the hot season, and no matter what season, I'll never need a rocket mass heater. +I just need to be able to boil water without making smoke. Can anybody help me achieve that, please? I've known about rocket stoves for a couple of years. I made them out of cob, bricks, I made biochar retorts, now I'm making the coffee can size rocket stove out of necessity to heat water for a bucket shower. You know that video of Geoff Lawton's, where he shows the rocket water heater? That is my ultimate goal, but the management where I live don't quite want to spend the $400 worth of copper piping to have running hot water without proof that a rocket stove works. I sometimes become angry for being asked to prove that fire heats water, but the fact of the matter is that all they saw was stoves that didn't quite perform as I said. Now please look at these pictures. It's a big can of tomato paste, stuffed with some lime powder (first thing I had available) and a J tube of smaller cans of tomato paste. Yesterday I tried the L-tube model. Neither work properly. I heard there has to be a 1:3 ratio between the burning chamber and the chimney, or other say between the diameter of the opening where the kindler goes and the length of the chimney pipe. To me a rocket stove is a special model that runs on very little fuel, makes no smoke and produces a lot of heat. I got the no smoke thing, but it never quite looked like a rocket reactor. Or at least, it did sometimes in the past, but not with this model. I mean look at this youtube video! He just puts two cans together, no special vents, no particular ratio, and that fire is raging. I had to extend my flu pipe, as you can see, way past the 3:1 ratio, and all I got was to have the flame not die off, but I had to constantly feed it with twigs, and the heat I was getting from the other end was not exactly what I need to boil water. Ok, gonna post this, I hope I can insert photos and videos where I want. Otherwise, bear with me. Hi, long time, no post. It must have been a full year. Anyway, here I am. I have a diseased lantana bush. Not even sure if it's a fungus. I made a googleimage search and found nothing. I don't think it's a lantana-specific disease. Just a local (Guanacaste, Costa Rica) pathogen. Anyway, I recently pruned the ugly bush. The disease makes each leaf look bubbly with protuberances, and the green is not as vibrant. I vaguely remember watching a Geoff Lawton video where he said (oh no, I think it was one of his students whose garden he was visiting) that he would just chop and drop the diseased parts of a plant right by the foot of it, and the soil microbes will restore the balance. Is that right? Tried and true? Because in conventional, even mainstream organic gardening they are fond of saying burn everything. I developed that thought into a sort of homeopathic approach. What if I took some of the diseased leaves, blended them really well in my vitamix with water, took two drops of that, mixed them with 100ml of water, shake the heck out of it, take two drops of that and repeated? You know, the typical way you make homeopathic remedies. Anybody ever heard or tried that? As far as I remember the video shows a valve system of some sort. Hi, we recently cut back on the propane tanks and are using gas tanks only for cooking. I know I live in the tropics, but we all like our hot showers, especially at 4am when we wake up. I came across this video, and it sounds awesome, but I have questions. I wrote the builder (Geoff Lawton? Daniel Lawton? ), and the response was "we have a better design. I'll post it at the end of this year." However, I'd like to get something going faster. Anyone available for clarifications, or an even better design? Thank you all for the replies so far. Please keep them coming. We have an open wall greenhouse with a garden all around, and then there is my own garden with polyculture, hillbeds, mulch, etc, but we are both experiencing sudden death. The soil is not optimal in either one, so we are focusing on that right now.